Lawyers are trained to understand and advise on the implications of buying and selling property. Buying and selling a property extends far beyond the transfer of legal title. 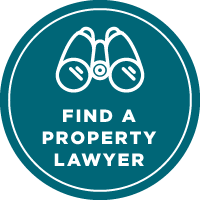 Your reasons for buying and selling, your family and financial circumstances, your plans and expectations for your own future and that of your family, and what happens to the property when you die are just some of the issues a property lawyer will consider and discuss with you. Are you buying or selling a unit title property? If so, there is certain information the seller must disclose. What happens if you don’t receive it? If you are buying a property, is there anything on the LIM you don’t understand or that needs to be resolved? Have all the council requirements been met? What rights to inspect the property do you have and when should you exercise these? Should you buy the property in equal or unequal shares and do you need a property sharing agreement? Are there any tax implications concerning the purchase or sale of the property? A lawyer can help you with all these questions and more, but it’s best to see them early — before you sign an agreement. Often lawyers can anticipate any problems and save you significant time and money by dealing with them early.